Interesting thing I learned today: Not only was Claude Monet a super-painter, but he actually had a super power: The ability to see ultraviolet light. How? In 1923 he had the lenses in his eyes surgically removed due to severe cataracts. Without the lenses filtering out UV light, he could see it. This is known as aphakia. 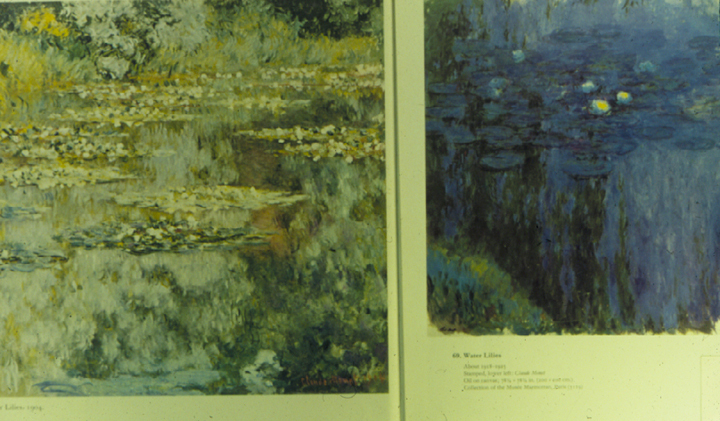 Here’s a comparison of two paintings he did of lilies. One before and one after he acquired his super power (source).